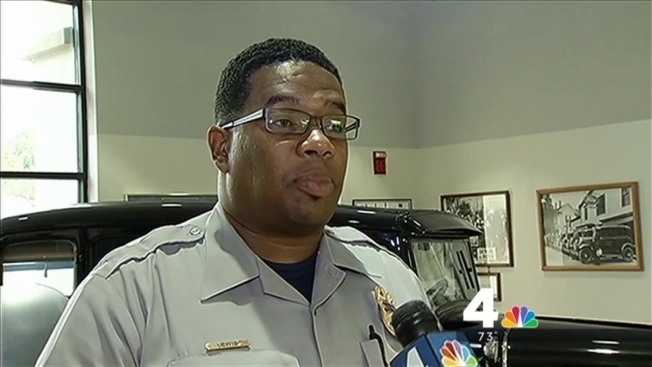 A woman jogging on a Mitchellville, Maryland street was assaulted by a stranger who repeatedly beat her with a stick, said Prince George's County Police. The attack was reported Thursday around 6:20 p.m. in the 1500 block of Silverado Court, according to a news release. The victim said she was out running, but that when she turned around to head home, a stranger stood in front of her, hit her in the head with a stick several times, then ran off into the woods after she fought him. She was hospitalized but has since been released. Neighbors said they are extremely concerned. "We're keeping all our doors double-locked," one resident said. "It's just surprising because it was so early in the morning." The suspect is described as a black man around 25 years old, standing 5'8" with a thin build. At the time, he was wearing a black hat, black hoodie, black shirt, black running pants with a white stripe and was carrying a black backpack. Officials said there are no other recent reports like this in the area. If you have any information, you're asked to call Crime Solvers at 1-866-411-TIPS.